We’re Residential Drainage Contractors. 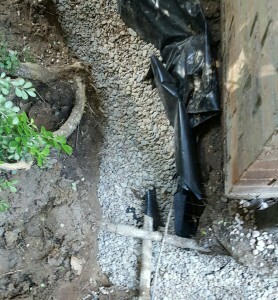 Installations End Foundation Drainage Problems, Yard Water Issues. If you require a Dallas drainage contractor, Fort Worth or DFW metroplex service, contact HD. We’re contractors that install French drains, surface drains and more. Avoid foundation drainage issues and yard water problems. Flooding causes serious foundation issues. If you’re in the Dallas, Fort Worth area, take time to learn about the contractor drainage installation process for French drains, surface drains. We offer free estimates on residential properties. Stops drainage problems with foundations and yards. Parts of North Texas get very heavy rain. With approx. 39-41″ of precipitation annually, water is a often a concern. It affects properties in Ellis County, Collin County, Dallas and Tarrant County. Performs residential service. As a drainage contractor, we install drains around slab foundations and pier and beam houses. 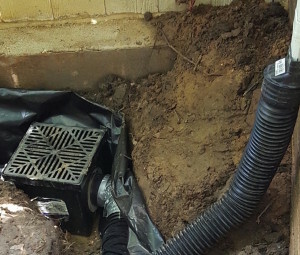 Crawl space drainage prevents foundation water damage. Determines what type of drain you need. In some cases a channel drain, capillary drain or sump pump is appropriate. In other instances, a surface drain or French drain installation done by a contractor may be best. 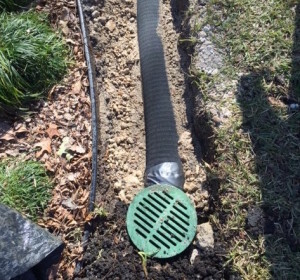 Is a Fort Worth, Dallas drainage contractor that has installed French drains and surface drains in the DFW metroplex for years. Has an A+ Better Business Bureau (BBB) rating. Most residential installations in Dallas, Fort Worth involve a contractor’s crew digging trenches. Drains are installed inside them and the trenches are later backfilled with soil. In some cases, they’re covered with pea gravel, too. HD Foundations often utilizes 4”-9” flexible perforated drainage pipe, as is the case with French drai ns. When contractors install drains, the pipes may be 10’ long or well over 100’. It all depends on how far water must be transported away from a residential structure in the Dallas, Fort Worth area. 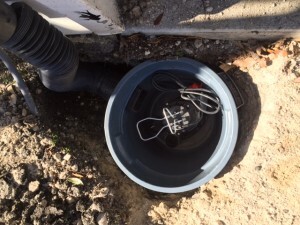 In many cases, foundation drainage contractors that install French drains use 4”-9” flexible perforated drainage pipe. In some situations, non-peforated rigid or flexible pipe may be used. HD services relating to foundation drainage installations can vary. That’s because we tailor them to fit our individual customers’ needs. French Drain, Surface Drain Estimates Are Free. If you need contractors to deal with drainage issues affecting your yard or foundation, get a no-cost drainage evaluation. No matter where you live in the metroplex, including Fort Worth and Dallas, drainage contractor estimates can be scheduled free online. Or, just contact us. We service the entire DFW area.